Legacy Christian Academy (LCA) is a PreK through 12th grade school that promotes academic excellence in a Christ-centered biblical worldview. We foster a loving, collaborative learning environment that encourages students to expand their intellect, develop Christ-like character, and fulfill their God-given potential. We are conveniently located on a scenic 30-acre campus in Andover, Minnesota, a northern suburb of Minneapolis. In addition to instructional facilities, there are two soccer fields, two softball fields, a baseball field, a spacious elementary playground, a 12,000 square-foot Sports Center, and a performing arts auditorium. ACSI member schools serve more than 5.5 million students worldwide. Nearly 24,000 schools from over 100 countries are members. The Minnesota Independent School Forum’s mission is to strengthen Minnesota’s K-12 independent schools through advocacy and advancement. There are tens of thousands of students enrolled in K-12 independent schools in Minnesota. MISF believes each student deserves and needs to benefit from its programs, services, education, research, and public policy support. The Minnesota State High School League is a voluntary, nonprofit association of public and private schools with a history of service to Minnesota’s high school youth since 1916. The National Honor Society (NHS) is the nation’s premier organization established to recognize outstanding high school students. 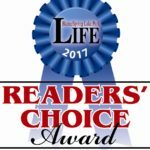 Legacy Christian Academy has received the 2017 Anoka County Readers’ Choice Award for Best Private School. This is the 4th year in a row that we have received this honor. 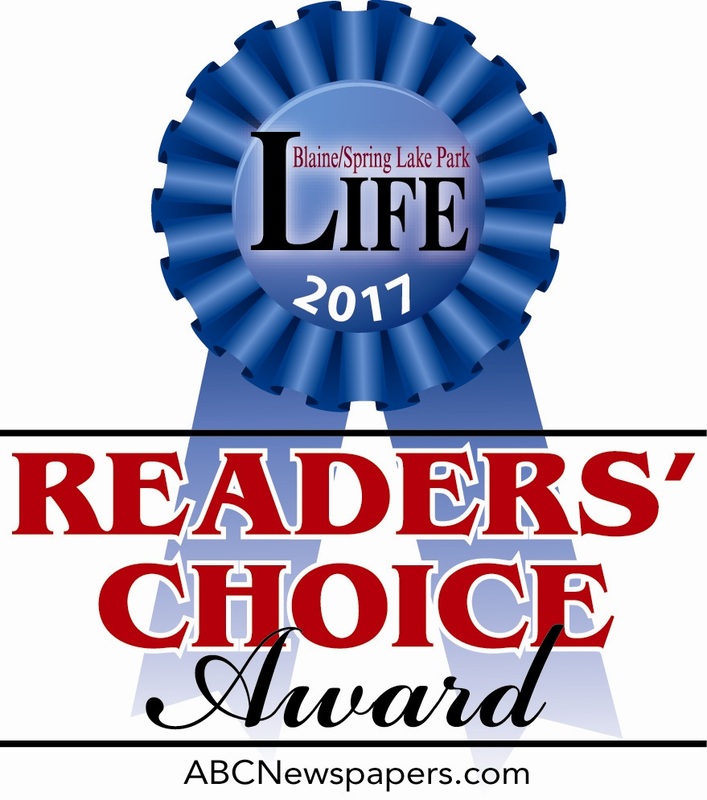 In addition, Legacy was awarded Best Private School and Best Preschool for 2017 from Blaine/Spring Lake Park LIFE Readers’ Choice. In 2014, 2015, and 2016, Legacy was also recognized by Anoka County for Best Preschool, Best Principal (Jake Mulvihill), and Best Teacher (Twyla Beyers). Your votes make a difference! Thank you! Mrs. Twyla Beyers was nominated for the Honor Teacher Award in 2015 (grades K-8). She was selected as one of the top four finalists in the K-8 category. The award recognizes a K-8 and a 9-12 educator who models outstanding service to their students and school. Nominations were accepted from all private and independent schools in the state. On April 26, at the award ceremony hosted by MISF (Minnesota Independent Schools Forum), Mrs. Beyers received her award for being a finalist. Keep up the great work, Mrs. Beyers! Fox 9’s Top Teacher winner Joleen Kubiszewski at Legacy Christian Academy in Andover, Minn. challenged students to read as many on level books as possible. The 5th and 6th grade students read over 650 on-level books in 1 quarter. That’s almost 11 books per child. She stays after school to mentor, help and encourage students to succeed and uses this time to answer questions or to build relationships with the students. 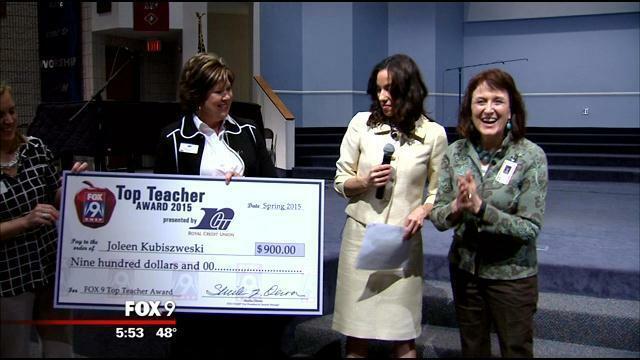 As a Top Teacher winner, she will receive $900 from Royal Credit Union as well as a Fox 9 Top Teacher Glass Apple and a Subway sandwich party for 100 friends.